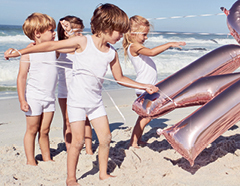 These light blue girls' pajamas promise a summery mood! 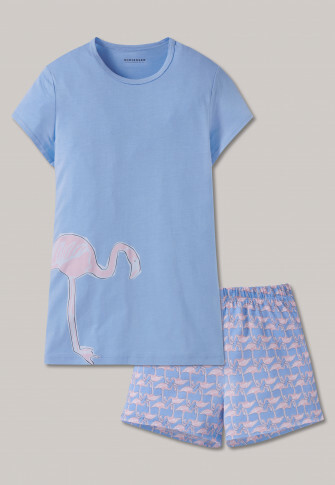 The light blue t-shirt, with its big pink-white flamingo, features a great highlight, which lends itself perfectly to the flamingo pattern on the shorts. 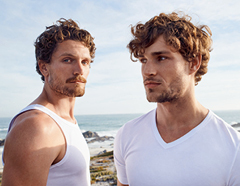 You can feel the summer feeling in lightweight jersey cotton and modal - a wonderfully comfortable material that promises sweet dreams in the best SCHIESSER quality!